When I featured some IT Cosmetics goodies on my Instagram stories at the end of last year, I had a lot of messages and comments from people who were eager to hear about how the products performed. Most notably everyone wanted to know whether THAT CC Cream of theirs was as good as the hype. 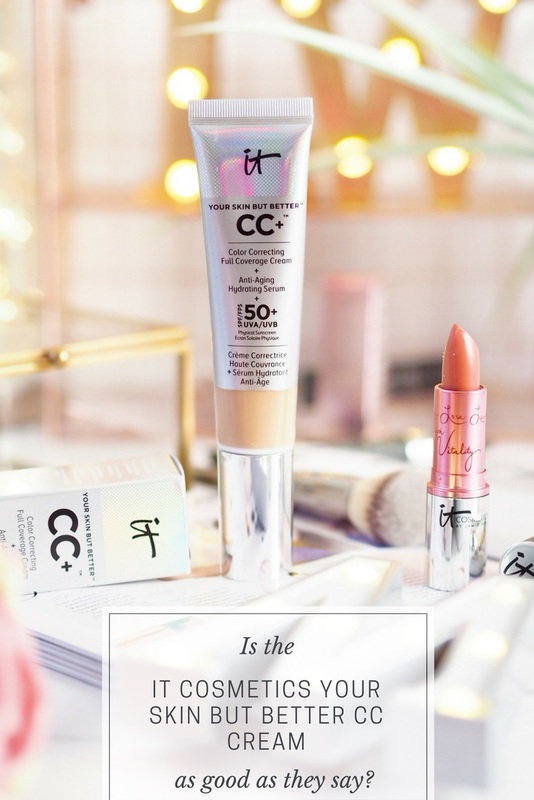 I’ve been using four of the IT Cosmetics products, all of which are their ‘Holy Grail’ goodies, including the CC Cream and I’ve really enjoyed testing them. I’m also really excited to finally tell you how I got on with them all! I couldn’t have been more wrong and now I’ve tried it, I can 100% see why it’s raved about so highly. First things first, the cream itself comes in multiple shades (there’s seven available from UK stockist Selfridges) so you should be able to find one that matches, or comes very close. When you try it for the first time, you’ll notice how thick the texture is. It’s as thick as a concealer so that instantly made me excited. If there’s weight to it, I like to think there’s a high coverage product there. But do note that because it’s so thick, you’ll need a good brush to apply with. I find beauty sponges aren’t great for applying this, so stick with a thick brush and buff into the skin. The coverage it gives instantly evened out my skin tone. My skin is very uneven right now and I’ve had some serious cheek breakouts so this has been fantastic at covering them as well as creating an even tone across my face. The shade I use is Light and next time I’m going to get the Fair shade for my pale days too. But I think between the two I’ll find a good colour match for every single day regardless of my tan levels. There’s two ways I’ve been using the Your Skin But Better CC Cream and the first is on really busy days and days when I don’t want to wear much make-up. It’s such a great coverage that it can be worn alone if you want the barely-there look. I’d say if you have good skin then this would be fine on it’s own and I frequently wear mine alone for subtle make-up days. However for the most intense and full coverage finish I use this as a skin primer and apply my foundation (also full coverage) on top. The finished look is my perfect make up finish – matte, full coverage and my skin looks flawless. I’ve become such a fan of this that when my normal primer ran out recently, I didn’t rebuy it, choosing to use this alone instead – and I don’t regret it at all. 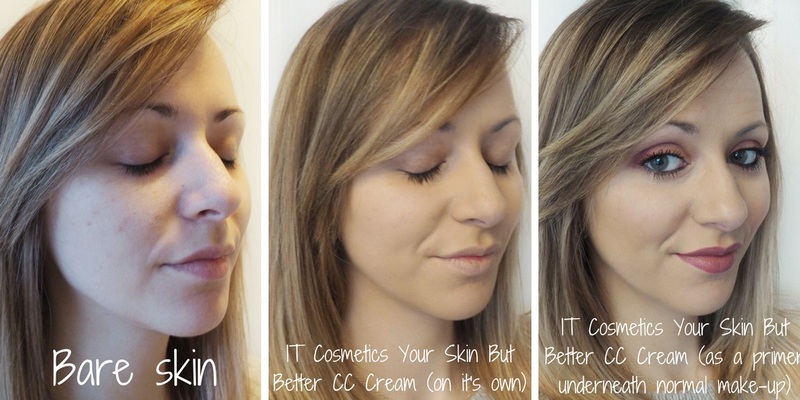 IT Cosmetics Your Skin But Better CC Cream (Light) swatches. No flash, no filter, no editing for full view of coverage. Staying power is also worth mentioning as it’s really good at staying in place. I do recommend a fixing spray or powder but for me the coverage is so good that I don’t often need to touch up my base all day if I don’t want to. 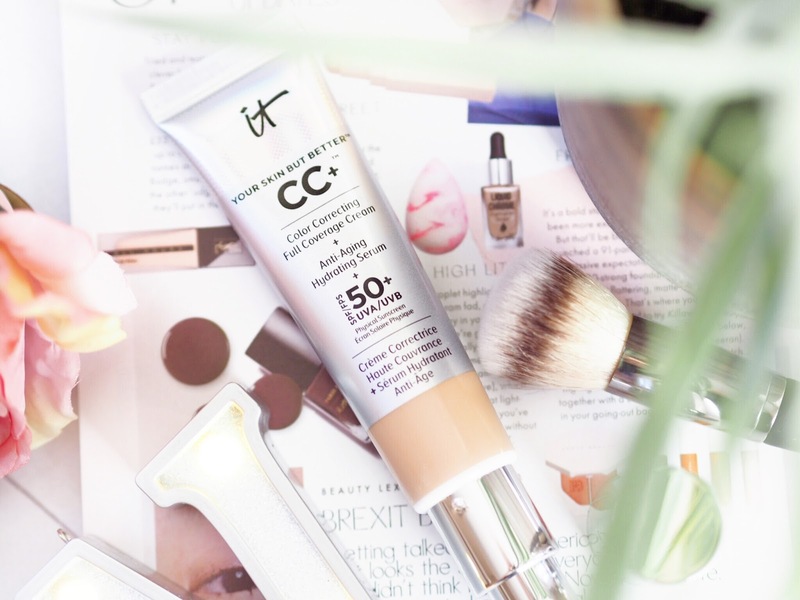 For £30 this is one beauty product I fully recommend everyone has in their collections…It will cover you on those days when you’re in a rush and also give you a deep colour coverage on the normal days. An absolute hero product of mine! Praise the make-up Lords at IT Cosmetics for this little beauty too! I can’t believe how much full coverage this dedicated Bye Bye Under Eye Concealer gives. 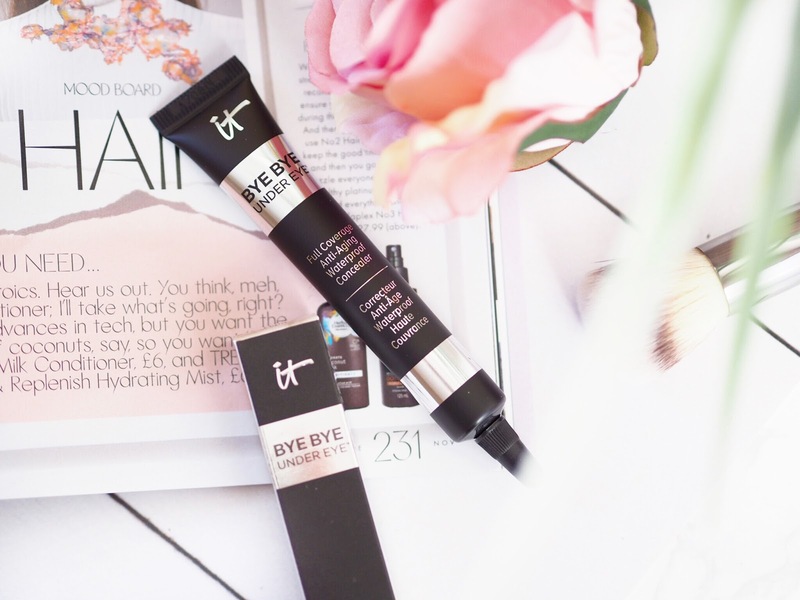 I’m used to under eye concealers being quite thin – mostly because make-up tends to gather in the fine lines around the eyes, so brands try to make under eye concealers as thin as possible. This one combines thickness with lightweight application, so although it’s thick, it really does the job. It totally erases all signs of my under eye bags, turning them from grey to a normal colour. It’s completely my go-to when I’m tired! 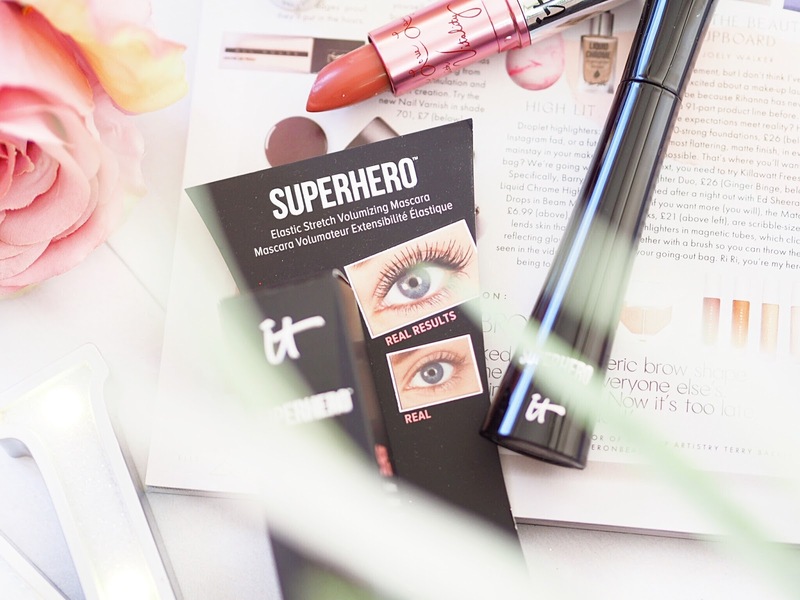 Another great product from IT Cosmetics is their Superhero Mascara. It’s a great everyday mascara which provides deep colour payoff and really thickens the appearance of the lashes. The deep black colour gives the appearance of fuller lashes and the fact that it doesn’t clump or smudge means I use this quite a lot for everyday wear. 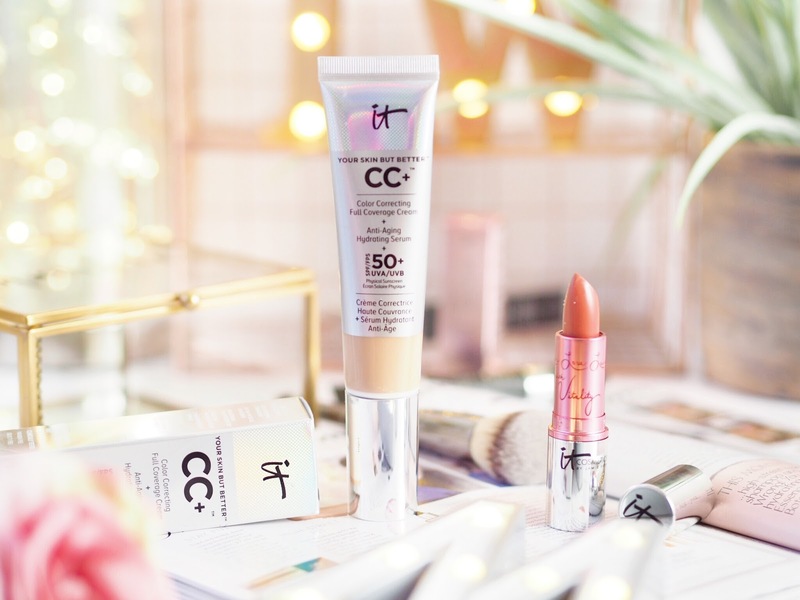 A great lip product to finish off my favourite picks from IT Cosmetics. has to be their Vitality 4-in-1 Reviver Lip Stain. 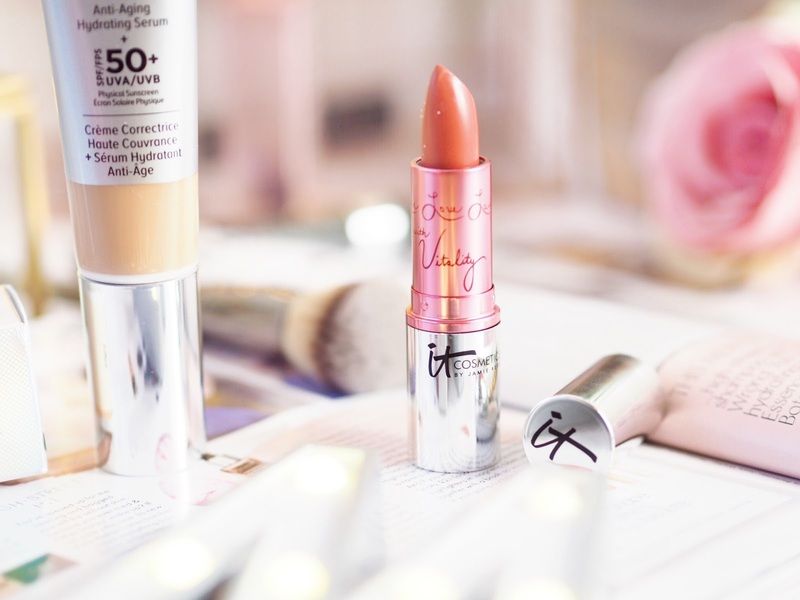 It’s a great everyday lip colour and a nice substitute for a standard lipstick. There’s six shades available, all are on the pink spectrum and they give a slick coverage of colour in a sheer finish. They’re like a glossy lipstick with the colour intensity of a stain. Because of the sheer finish, they don’t dry and my lips look pretty and natural, with a flush of versatile pink colouring. Great for only £16 too. 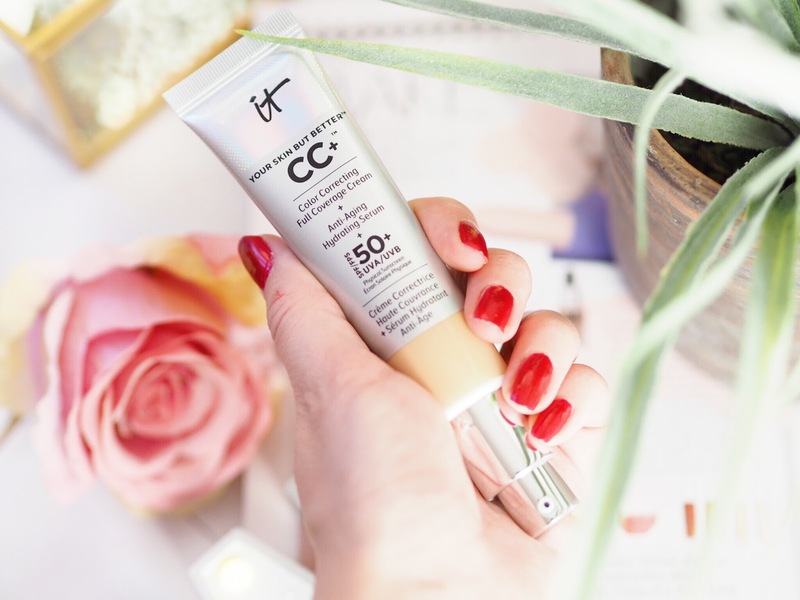 So there you have it – my review of the cult CC Cream as well as some of the other Holy Grail products from IT Cosmetics. I can say with certainty that I’ll continue using these, especially the Your Skin But Better CC Cream. And if this has now persuaded you to give it a go (I hope it has!) then you can get it below!